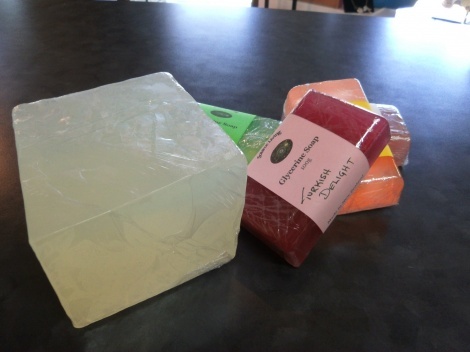 Clear Glycerine melt & pour soap base. Simply melt in saucepan, add a few drops of dye to colour, then after removing from heat add fragrance and pour into mold. Can be taken out of mold a few hours later. Wrap in clingfilm once removed until you are ready to use. Makes great gifts, and great kids holiday projects.